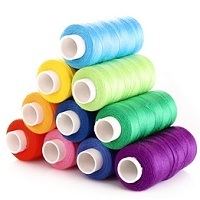 The Textile and Garments industry is traditionally a huge one in India. Innumerable retail shops of textile and garments can be seen in any market of the country. The continual demand of garments has influenced the growth of textile and garment industry in India. The industry demands sufficient amount of manpower to sustain its growth. Though there is no requirement of specific training for the job in this field however skilled workers are always valued in this sector. People looking for jobs in this industry have to be dynamic and should be hard working. The knowledge about the latest trend of fashion would be an added advantage for the job seekers.